Drying fresh herbs is easy. You do not need any special equipment - learn how to dry herbs at home with these easy tips. Why not learn how to dry fresh herbs so that you have your own garden herbs available all winter? Many garden herbs are quite easy to dry at home. You need a little space for hanging them, out of the sun, somewhere where the air is both dry and relatively warm. Or you can dry them flat in a quiet corner of a warm, dry room. If the air temperature outside is still good and the humidity is low you may even be able to dry them in an outside shed or garage. Select the best quality herbs you have for drying. Ideally, they should be picked at the peak of their powers, when they are mature but not starting to lose strength. This point will vary for different herbs and for different growing regions. If you observe your herb plants carefully throughout the year you will soon learn when are the best times for your different plants to be harvested. Pick your fresh herbs for drying early in the day, when the volatile oils are at their most potent. Choose a dry day for preference, not long after rain. Drying fresh herbs in the height of summer is easy. You can even dry them on a windowsill. Just be careful that they do not completely frazzle, as the heat can be considerable in a sunny window space. Slower drying may preserve more flavour and nutrients. Choose the firmest and liveliest looking herb tops for drying. Discard any dead or dying leaves. Sort through your collected herbs. 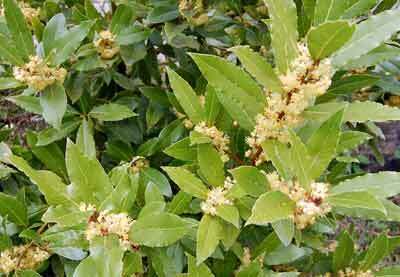 Remove any discoloured leaves - and insects! 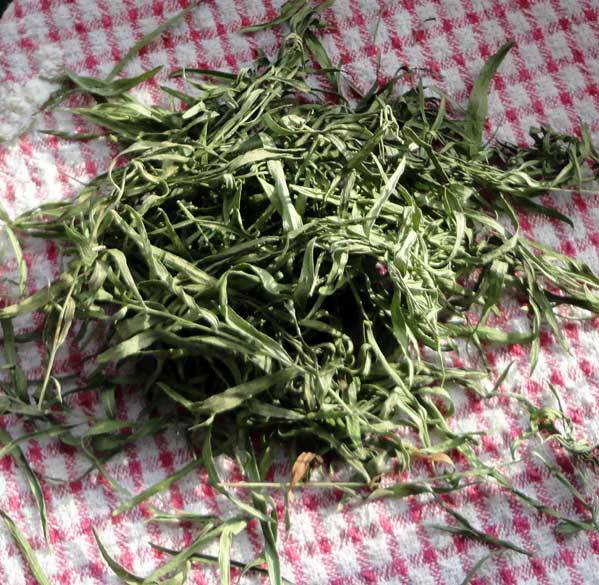 For some of the larger herbs, such as rosemary, you may want to cut whole small branches. Other herbs, such as parsley you will just need to pick individual stems and heads. If your neighbourhood air is not so clean, or if it hasn't rained for a while you may want to give your herbs a good wash. Wash them in clean cold water and shake off as much moisture as possible. Pat them dry with kitchen paper - or a clean kitchen towel. Some people like to blanch their herbs quickly in boiling water. This makes the spread of undesirable organisms, such as mildew, less likely. If you do get your herbs wet, it is important to dry them off again thoroughly so that surface water does not spread disease or mould. Larger sprigs of herbs can be tied together to form a small bundle. Don't bunch too many stems together as you will risk damp being retained in the crowded spaces between the leaves and stems. Use thin thread or string to tie the bunches. Hang the bunches of herbs upside down in an airy, dry place out of the sun. Check them daily to make sure that they are keeping well. It's a good idea to use your nose! Sniff them and any untoward odours will alert you to possible spoilage. Discard any which do not pass the sniff test, or which look at all discoloured. As the herbs dry, they will change colour but there should be no signs of mould or mildew. Here's how to use the boiler or airing closet (or other cupboard) to dry your fresh herbs. If you are unsure about how dry the air is inside your home, then maybe you will need to ensure there is some additional heat. Fresh herbs will not dry well in damp or chilly conditions and are likely to spoil, thanks to air-borne organisms. One easy solution is to dry your herbs on top of the boiler or other heat source. This is not always ideal as the drying may be so speeded up as to lose goodness. Ideally you want your herbs to dry slowly but steadily so that the volatile oils are retained as far as possible. Nevertheless, the top of the boiler, or a space above a heat source can be quite an effective aid to drying fresh herbs. Similarly, a radiator ledge or some space in the airing cupboard can be used. Just make sure that wherever you put them is safe and not a fire risk! You can hang them above or near the cooker - but there is always a risk of fat droplets and steam condensing on them, so it's not my preferred solution. They might also drop unceremoniously into whatever you are cooking! We dry herbs on top of a work surface above the boiler, which is in the kitchen and it works quite well. The area is generally a few degrees warmer than the kitchen air temperature. Collect old shoe boxes, small cardboard fruit boxes, recycled gift boxes or similar. Put plenty of holes in the top and sides of the boxes to aid air circulation. Add a lining of absorbent paper such as kitchen roll (you can re-use it afterwards). Add the herbs loosely strewn on the floor of the box. Alternatively, use a drying aid such as a cooling rack to help air circulate around them. The herbs should, of course, be dry, so if you have washed them be sure that they are quite dry to touch again before you put them into a box. Turn the herbs daily to ensure good air circulation and even drying. Some herbs may be better stripped from their stems. This way they will dry faster. You can wait until the fresh herbs are half way to dry before stripping off the leaves - that way it is easier to separate them. Picture: Dried lavender flowers. 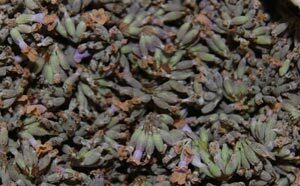 Lavender is easy to dry - either in bunches or pull the whole flower heads off and put them in a cloth or paper bag. You can dry fresh herbs in your oven and even in the microwave. The problem with this approach is that it's very easy to over-cook your herbs and so lose flavour and vitality. For oven drying, set the oven to the lowest possible setting and place the herbs as low as possible - even on the floor of the oven. They should be elevated from the floor by a drying rack. A metal rack for cooling cakes is ideal. Check the herbs frequently and turn them so that they dry evenly. For me, this is the least good method because the herbs dry faster than they should. Many herbs have useful roots. If you want to take the time to dry them you can do so but the method is slightly different. Prepare the roots by trimming off side rootlets and giving them a thorough clean with a vegetable brush or similar. Slice the roots fairly thinly and dry them in the oven on a very low temperature. Alternatively, you can use a covered tray set besides a fire or hearth. A dehydration device is a useful purchase if you are drying fresh herbs in any kind of quantity, especially for the more fleshy roots. They are also useful for drying fruits - which is great if you are reaping large harvests which you cannot store otherwise. These cost little to run in comparison with the cost of buying herbs and dried fruits. Amazon have a variety of good dehydrator models available, including this one from Nesco. I'm not yet able to say how cost-effective these are as I've not yet bought one - but they certainly get good reviews. The greenest way to dry herbs and roots - and fruits (in terms of energy use) is to use a solar dryer. These tend to be quite large constructions. There are plans for constructing these at home - one of my next projects! Dried fresh herbs can be stored in glass jars. You must be sure that the leaves are bone dry. Rub them between your fingers. They should be brittle and crackly feeling and they should generally break up into smaller pieces. If you want fine herbs, you can rub them through a sieve or put them into a mill to break them up. As you can see, drying fresh herbs at home is quite easy and can make a valuable addition to your kitchen store cupboard!